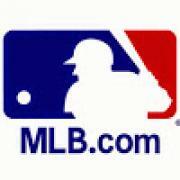 About MLB.com: Former Commissioner Allan H. (Bud) Selig announced on January 19, 2000, that the 30 Major League Club owners voted unanimously to centralize all of Baseball's Internet operations into an independent technology company. Major League Baseball Advanced Media (MLBAM) was formed and charged with developing, building and managing the most comprehensive baseball experience available on the Internet. 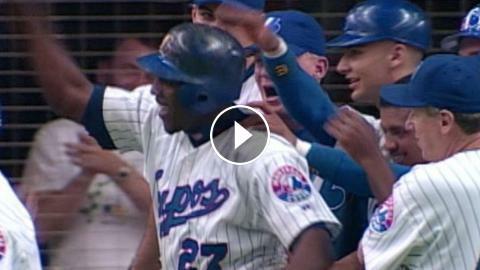 In August 2002, MLB.com streamed the first-ever live full length MLB game over the Internet when the Texas Rangers and New York Yankees faced off at Yankee Stadium. Since that time, millions of baseball fans around the world have subscribed to MLB.TV, the live video streaming product that airs every game in HD to nearly 400 different devices. MLB.com also provides an array of mobile apps for fans to choose from, including At Bat, the highest-grossing iOS sports app of all-time. MLB.com also provides fans with a stable of Club beat reporters and award-winning national columnists, the largest contingent of baseball reporters under one roof, that deliver over 100 original articles every day. MLB.com also offers extensive historical information and footage, online ticket sales, official baseball merchandise, authenticated memorabilia and collectibles and fantasy games. Major League Baseball consists of 30 teams split between the American and National Leagues. The American League consists of the following teams: Baltimore Orioles; Boston Red Sox; Chicago White Sox; Cleveland Indians; Detroit Tigers; Houston Astros; Kansas City Royals; Los Angeles Angels ; Minnesota Twins; New York Yankees; Oakland Athletics; Seattle Mariners; Tampa Bay Rays; Texas Rangers; and Toronto Blue Jays. The National League, originally founded in 1876, consists of the following teams: Arizona Diamondbacks; Atlanta Braves; Chicago Cubs; Cincinnati Reds; Colorado Rockies; Los Angeles Dodgers; Miami Marlins; Milwaukee Brewers; New York Mets; Philadelphia Phillies; Pittsburgh Pirates; San Diego Padres; San Francisco Giants; St. Louis Cardinals; and Washington Nationals.